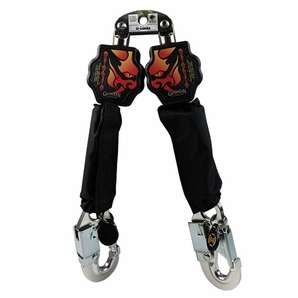 Guardian Fall Protection introduces the new Diablo Self-Retracting Lifeline. The Twin Leg SRL offers superior protection, and its design makes it supremely lightweight and durable. Available Hook Options: Steel Snap Hooks, Aluminum Snaps Hooks, Steel Rebar Hooks or Aluminum Rebar Hooks. Carabiner included with SRL.